How to help your child identify their feelings and build emotional intelligence by learning to appropriately express their emotions. Teaching children to identify what they’re feeling and what prompts them to feel these emotions, how to problem solve solutions and act appropriately. 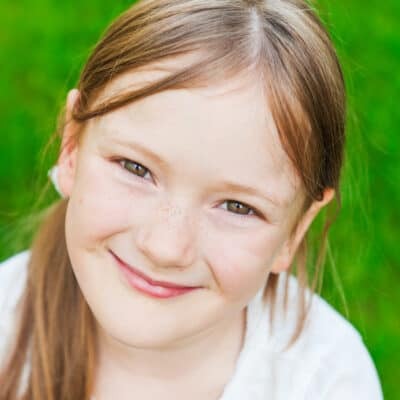 Learn how to be the emotional coach your child needs to learn how to manage big feelings and resolve their feelings. As adults, we’ve had many, many years to learn how to process our emotions and express them in respectful, non-explosive ways. Little children on the other hand, haven’t had decades of experience, and developmentally, aren’t able to slow down and process their thoughts before they escalate into turbulent reactions. It’s up to adults to help little ones learn how to process what they feel without tantrums and explosive behavior, but calmly and as appropriately as possible. Learn how to be the emotional coach your child needs so they can learn how to manage big feelings and resolve their feelings. When your child is becoming worked up, or your own nerves feel frayed, it’s important to calm yourself before you react so you can model calm behavior for your child . If children are to learn how to pause and react without anger, you have to show you’re a patient Mom. Stop what you’re doing to ensure your focus is entirely on your child, take a deep breath or use your preferred calming technique whether that’s taking a moment in the bathroom to yourself or squeezing a stress ball, find your calm and then respond when you can do so peacefully. Take a 10 second pause to remind yourself to be the calm adult so you don’t escalate your child’s reaction. Remember, this is a teaching opportunity to demonstrate the type of behavior and reaction you want to see from your child. They are here to learn from you! 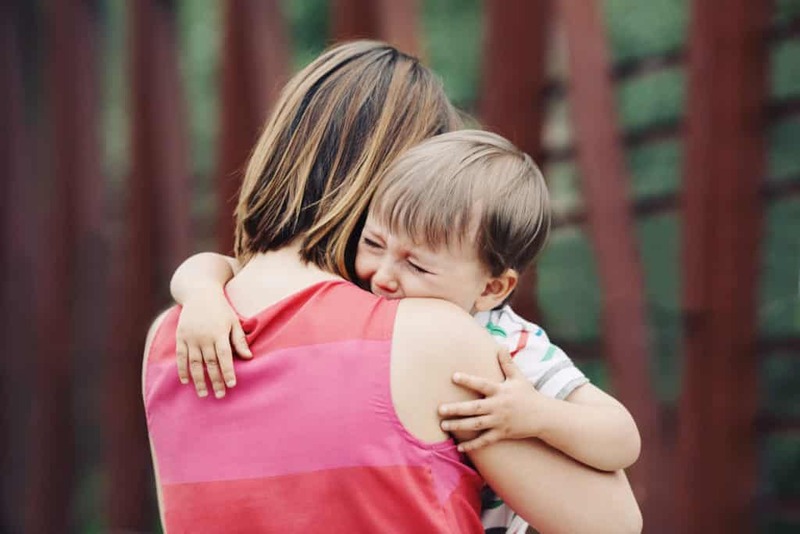 Don’t take your child’s emotions personally – their feelings and tantrums aren’t about you, but the mixed feelings they’re trying to untangle inside. Your child’s emotions are tangled right now as the storm inside of him brews. 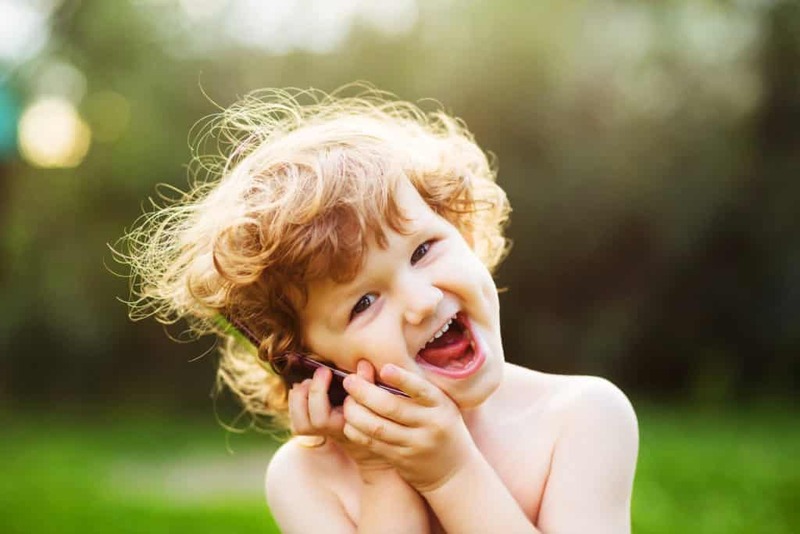 Developmentally, little ones are unable to process why they feel the way they do, and can’t make the connection about what caused it and the reaction they feel. For example, when big brother takes the book he’s been reading, he lashes out by hitting him. While an adult sees the child is upset because the book he was reading was taken without permission, the cause and reaction is clear. However, to a child, they are filled with complicated emotions of sadness, anger, and hurt but doesn’t know the name to these emotions and why he feels them. It’s confusing! This is where the adult steps in by responding with empathy. To stop the reaction from escalating, use a calm and empathetic tone when talking to your child. Get down to their level so you are on the floor with them or squatting to match them eye-to-eye. This creates connection and a safe place for them to open up. Make your child feel safe by using a warm tone, gentle touch and empathetic approach. Children aren’t born with emotional intelligence – the ability to communicate their feelings once they recognize those feelings –it’s developed over time, with an adult’s assistance. “I feel ______ because ______” type of statements. Play back the scenario for your child naming the cause and reaction. This helps them understand their feelings and properly put a name to what they feel inside, but also makes them feel seen and heard. Describe the problem to your child and name the emotion as you respond to them. If your child is old enough to explain this situation, ask them to describe what happened and prompt them to explain their feelings so you can help them put proper names to their emotions. When you playback what your child has said about their feelings or end your observation of their emotions with a question, you ask for their input and help them expand the conversation, especially if the emotion stated is incorrect. If you thought your child was sad, but in fact, they’re embarrassed, this opens the door for them to correct the emotion and tell you what actually made them feel embarrassed. It’s important to let your child be honest about what they’re feeling. If they insist they’re mad, even though you may disagree or see the situation differently, let them feel mad, and acknowledge that feeling. Push your own feelings aside. The validation you offer them is more important than being right. Children feel safe to acknowledge their emotions when they live in an positive environment where adults can recognize and express their own feelings. When you’re stressed about running late to school in the morning, or feel annoyed that no one is cleaning up their mess around the house – use the same cause and reaction statements. You also create a safe environment for your child by responding with comfort and making them feel OK to open up. Whether your child is angry or in tears, it’s remarkable how much offering your comfort sets the tone for positive interactions to follow. Ask if they want a hug and see how quickly they run into yours arms before talking about their feelings. Validating your child’s feelings will encourage them to tell you more. You may not agree or fully understand what they’re feeling, but by supporting your little one, you’re deepening your connection and helping them feel like they can talk to you freely. When little kids become familiar with their emotions and what causes them to react the way they do, the opening to help them work through problem solving solutions becomes the next step in building emotional intelligence. The tricky piece of this step, is to help prompt your child to problem solve without giving away the farm. Encourage kids to find solutions on their own with prompts. Remember, stay calm when you see the storm brewing with your little one and then move through the steps of comfort. Help your upset child recognize the key emotion and what prompted the reaction. Playback the cause and reaction to see if your child has additional input or is feeling a different emotion. Validate their feelings and if the space allows, prompt them to find a solution to the problem on their own. The more you practice these steps to helping your child express their big emotions, the easier they will become.